This was a really enjoyable, surprisingly light read considering the stresses and strains the main character was going through! Indira has got herself into quite a tricky situation and all because of love. She has got involved with a married man and his wife wants Indira shamed. Fair enough I hear you say, but whilst everyone is making assumptions about her, there is more to Josh's wife Valentina than people know, and more to the story. However Indira finds her business at stake due to working in the Wedding cake industry and the women in the community begin to believe that she is a groom stealer! And even though Indira ends the affair, no one will even look at her or talk to her. That is until she meets Noah, the incredibly handsome Crystal Cove Resort Chef. Will Indira save her business and her heart at the same time? I absolutely loved the main character Indira and I was on her side ALL the way. She is a brilliant and I thought an incredibly strong heroine. She has been put in an unfair and unjust situation and I really felt for her that she fell for Josh who just couldn't seem to give her is whole love and returned to his wife, despite what she did! The setting for this in Los Angeles was great and I really felt like I was there in that warm, sunny climate and it was nice to escape from the freezing cold weather in the UK! AND I loved the descriptions of the food! Seriously had me craving cake and I so desperately didn't want Indira's business to go down! When Indira meets Noah, I was so excited for her. Noah is incredibly sweet and caring and he genuinely wanted to look out for Indira and was one of the only few people that stood by her throughout the whole ordeal. I thought finally she will see sense that Josh is not the right man for her! 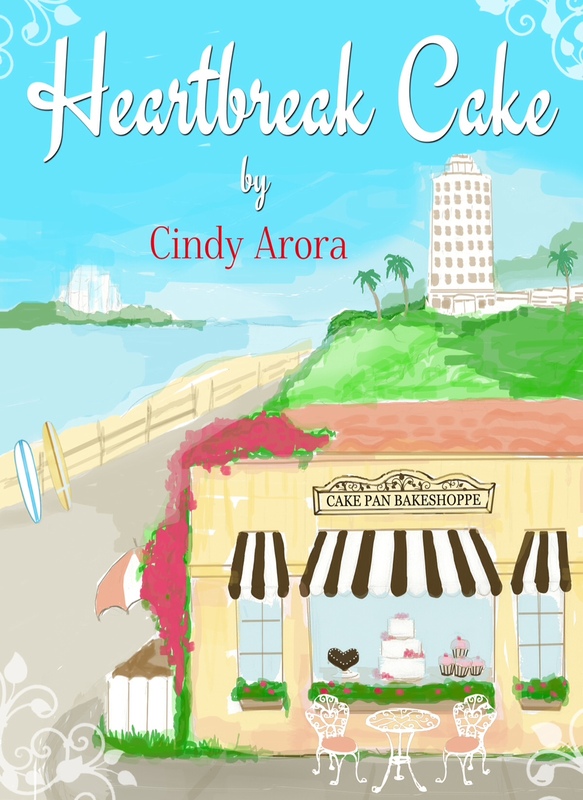 This was a lovely story about heartbreak, learning from your mistakes, friendship and cake. A brilliant story if you have ever had your heart broken . I'm with you. I started reading it and couldn't stop...had to force myself to turn of the Kindle and get back to work!! Thanks for having me! I;m a little late, but still :) Thanks again.